Teach your child the meaning of Hanukkah, the Jewish holiday also known as the Festival of Lights or Festival of Dedication. I In this personalized story, your child is anxiously waiting to open presents when he/she starts playing with a dreidel that suddenly speaks. 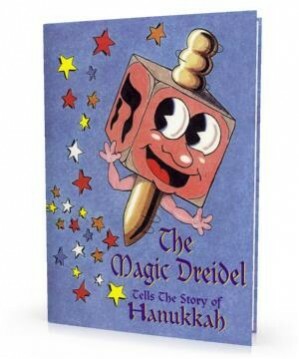 Mac, the magic dreidel, takes your child on a journey back in time to explain the story of Mattathias and the Maccabees and their battle with King Antiochus, thus describing the reason for this eight-day celebration. At the end of the book, there is a word game to unscramble Hebrew words mentioned in the story.